Just over two years ago, I was invited by the Brooklyn Museum to speak about any issue I chose for LatinX Heritage Month. What I did instead was organize a panel which included Sofia Quintero, Daniel J. Older, and Aurora Anaya-Cerda to discuss the future of LatinX Literature. During that evening, I mentioned the courage Latinxs must have to write in a society that continues to feed, educate, and force us to believe mythologies associated with White Supremacy. We described that courage as the audacity of the Latinx voice. To constantly correct inaccuracies about Latinxs. To continue to write despite being told that our voices don’t matter. And even when we know we cannot eradicate the misperceptions of Latinxs in our lifetimes, we still continue to do it. I admire this audacity in fellow colleagues and media outlets like Latino Rebels that have a consistent record of raising their voices to fight White Supremacy and anti-Latinx sentiment – and why I was disappointed that Latino Rebels published a piece titled “In Defense of Columbus”. It is in this spirit – the audacity of my Latina voice – that I write this piece. This is not so much a response to the now controversial piece published by Latino Rebels (and other Latinxs who continue to defend Columbus), but my hope to extend this conversation by using my reasons for my public critique of Latino Rebels’ decision (to publish the defense of Columbus) to explore the Latinx intellectual tradition, a tradition that is not clearly articulated or publicly understood. Here is my first attempt. As I reflect back on my own Voice, I am cognizant of one common theme – a condemnation of Whiteness and White Supremacy (although I did not have the vocabulary to articulate this as a child). Among a few questions I had, I wondered why was I called Sambita and why was this a bad thing? I wondered why some Latinos on TV hated Blackness and Black people so much? I didn’t understand why some Latinos were so invested in Whiteness. I had many questions. To answer these issues, I often searched on my own. I first tried to understand what being Ecuadorian means but because back then there was no internet my search was limited to the books my dad and I found on the street, the encyclopedias my parents made sure they had at home, and older cousins’ stash of magazines. While I did not find much about Ecuador in English, I did find evidence of a Black intellectual tradition. Since then, I became its life-long student. (1) Describes the living reality of Black life from the perspective of Black people. (2) Corrects inaccurate history of Black people in the US. (3) Plans to improve the conditions faced by Black people due to racism. It is transformative in that it lays out hopes and plans for the improvement of Black people in the US. This framework allowed me to explore the Latinx Intellectual Tradition for the Puerto Rican Studies Association during a presentation called “Connecting the Pipeline to Comunidad: An Emerging Framework of the Latina/o Intellectual Tradition & the Role of the Latina/o Public Intellectual” (Vega, 2012). Here I connected the role of the LatinX public intellectual to the LatinX Intellectual Tradition. Who are public intellectuals and what are their goals? According to Marc Lamont Hill (2012) “…the public intellectual [is] an individual whose intellectual production is articulated to a non-academic community” and according to Eduardo Mendieta the goal of the public intellectual “… is to constitute a public that has an informed opinion, and that may act in a concerted fashion according to a deliberately constituted consensus. The public intellectual mediates while instigating the public use of reason” (Mendieta, 2003). Mendiata elaborates on who public intellectuals are and believes that although academia is an important space, there are other spaces in which Latinx public intellectuals inhabit which should not be ignored. And this where Media, Latino Rebels, and the significance of denouncing Christopher Columbus comes in. The people must know before they can act, and there is no educator to compare with the press. But of course when a society begins to awaken and counteract symbols of White Supremacy (such as Christopher Columbus) some people do something that seems crazy but is in fact quite normal: we revert back to what we were taught and what is familiar, even if those lessons or people are harmful. In the case of any defense of Columbus, it is a great example of how some hold on to and maintain White Supremacy with a vengeance. To reiterate sentiments from the piece published by Latino Rebels here would be to echo the multiple years of White Supremacist thought, logic, and practice with which we are all so familiar and that some of us continue to debunk with accurate histories, analogies and information. I choose my blog to not be an echo for these sentiments. Never have and never will. I do not believe this sentiment, logic and practice heroifying Columbus are necessary as we can probably open up an old textbook from grade school erroneously teaching us about how evil our Indigenous and African ancestors were and how valiant were Columbus and the rest of the Conquistadors. “The public intellectual mediates while instigating the public use of reason” (Mendiata) and if that public use of reason is already filled with White Supremacist thought, then my job as a Latinx public intellectual and shaper of LatinX Intellectual Tradition is to instigate and mediate White Supremacist thought in the form of antiLatinx logic and practice. My role is (as Professor Marable teaches us) to describe the living realities of Latinx life from the perspective of LatinX people. It is to correct inaccurate histories of Latinx people in the US. And finally my goal as a LatinX public intellectual is to plan, write and organize with others on how to improve the conditions faced by LatinX people due to racism. By planning with others I do mean colleagues within and beyond academia and linking with folks in the media such as the Latino Rebels team. They know that I do not publicly stand for the article that was written in defense of Columbus day and if you are interested you can read more of my response to the Latino Rebels team on my timeline on Twitter. Latino Rebels has since apologized for the way they have responded to public critiques since the article has come out. Specifically, there is still a public denouncement of the article because many consider Latino Rebels as a space that could be used to counteract White Supremacist logic and practice. It is a space for which many of us have written to counter mainstream perceptions of Latinxs, a space where we corrected inaccurate histories of Latinx people. In fact, I firmly believe that if a nonLatino Rebels author published that piece, they would have criticized it, too. But they didn’t and I was very disappointed to read their response. Latino Rebels are aware of my response. We have exchanged opinions and I still firmly believe that they will learn from this incident. Aside from explaining why I make my critique public of this decision to publish a defense of Columbus, my hope for this piece is most importantly a way to rethink our personal and public platforms. By introducing tenets of the Black Intellectual Tradition, I by no means am suggesting that we cannot expand on these principles. But I believe this is an excellent start. By using Hill’s and Mendiata’s understandings of the role of public intellectuals, I hope to explore who we are as Latinx public intellectuals and our role in the Latinx Intellectual Tradition. While I make this call a public one, as a life long student of the Black Intellectual Tradition and a champion of the Latinx Intellectual Tradition, I am hereby stating that these are my principles for my blog, for my scholarship, for my life. I will not provide an echo to White Supremacist logic or practice. I will do my best to counter this system via writings, memes, quotes, scholarship, and my life. And if I should fail, I hope that I will be gently reminded of what I have set out my Race Work fueled by Race Love to achieve. A #NewYork #DoctoraLatina moment: conversations with Latin(x) parents about their children in college. It always bugs me out to read theories and reports about Latinx education. One theory being that Latinx college enrollment is low because parents don’t care. It’s especially hard to read that when I encounter Latinx parents who are proud of their children’s educational aspirations and achievements. I was writing at Barnes and Noble this morning and the woman who works at the cafe came up to me and said: When I see you, I see my daughter. She always has her laptop and is always reading. Are you in college? Me: No, I actually just graduated with my doctorate. Latina parent: Really? Oh, l believe my daughter wants to be a psychiatrist. But she has to finish college first. Then she told me she has to go to medical school. Then after she has to do an internship. So many years..
Me: Yes it is many years but if she is doing what she loves … I say it’s a good thing. Latina Parent: I know. I see you and I see her. She has always been a hard worker. I know she is going to make it. And even though I am proud… I miss her. Very much. I saw her eyes and nose becoming red and as her eyes welled up I said, And when I see you I see my mother. She also missed me very much. But I returned to her. A came back to NY a college graduate. So will your daughter. Latina parent: But why did you go? Why so far? Me: Because like your daughter I was accepted and wanted to attend a good school to make my family proud. 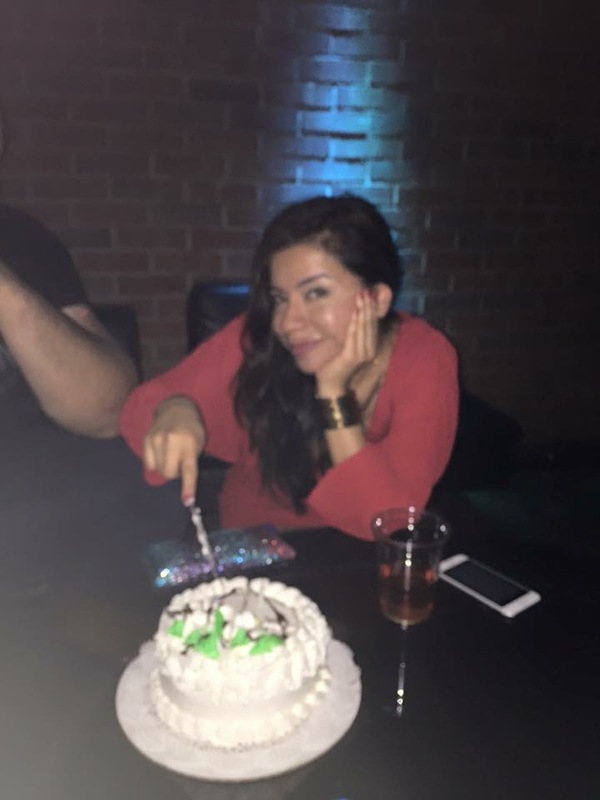 For the past two years, I have documented my journey as a doctoral student and, more specifically, as a Latina student in the process of dissertating. I call these “Dissertating Latina” moments because I want other future dissertators, women of color and dissertators of Latin American descent, to be able to see themselves in this process. Thus, for personal and political reasons, the term ‘Dissertating Latina” represents a part of my identity that I have decided to share using a social media platform to describe my journey into the culmination of the dissertation. This journey specifically began 10 years ago, but more broadly nurtured by my father, Miguel G. Vega, an Ecuadorian immigrant to the United States who has lived in New York since 1968. My earliest memories of my father are of him taking me and my sisters to the Columbia University Campus, sitting us down on the steps that led to the Alma Mater, and telling us about how he arrived to New York, obtained a second grade education, and wished differently for his daughters. “Mija,” my father told me, “You can attend a school like this if you study and work very hard. One day, if you want to, you will be a student here.” Three rejections later, and I was accepted into Teachers College/Columbia University in the Higher and Postsecondary Education doctoral program. So my first dedication goes to my family—Miguel G. Vega, Blanca N. Vega, Janet R. Vega, Judith K. Vega Catanzaro, and Lizette N. Vega. Without these first individuals in my life, this love I have for race, education, intellectualism, Latinidad, and Ecuador would not have been nurtured. Along this journey, amazing teachers and educators guided me. I will begin with my 5th and 8th grade teacher, Sr. Evelyn Kelly, who taught me to love a good story. Her partner in crime, Ms. Imelda Lati, made sure I attended Brooklyn Technical High School. While there, Ms. Judith Ann Cohen, who coordinated the Preparation for Undergraduate Learning through Science Enrichment Program (PULSE), taught me the value of discipline and dedication. Ms. Cohen and Ms. Marcia Solomon, former counselor at the Double Discovery Center, encouraged me to attend Brandeis University where I met Professors Dora Vasquez Older, who continues to be one of my main cheerleaders today. I also met Kim Godsoe and Lesola Morgan, who talked me through great bouts with academic self-concept and various forms of racial conflict. They listened and they guided me through many difficult moments. 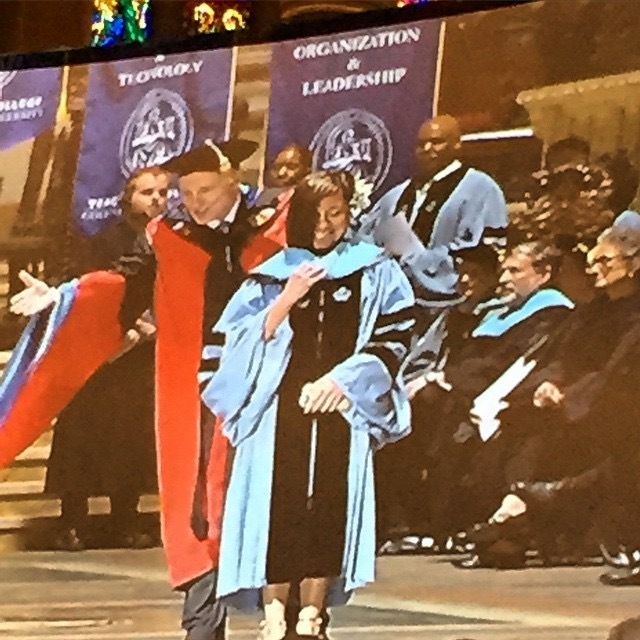 After Brandeis University, I entered my world as a higher education professional and met two amazing people—Daniel St. Rose, LMSW, and Mary Caldwell, LMSW. They have witnessed me grapple with many aspects of my life that have led to my current state as Doctor of Education. Along this journey through higher education administration, I met over 300 talented, intelligent, loving students. I am blessed that some of them call me “mom” today. I met these students at the Liberty Partnerships Program (LPP) at John Jay High School in Brooklyn (1998-2001) and the Higher Education Opportunity Program (2006-2014). Because of them, I was forced to articulate what it meant to be a doctoral student or, more specifically, what it meant to dissertate. This work could not have been done without three wonderful colleagues who I consider my family now: Kevin Smith, Rebecca Pinard, and Dr. Cindy Mercer. They saw my most intimate moments as both HEOP director and doctoral student and never once complained about supporting me throughout. Special acknowledgement goes to Rebecca Pinard who has taught me to be a better administrator, sister, and friend. Dr. Sosanya Jones, Dr. Keisha McIntosh, Dr. Terrenda White, and Dr. Darnel Degand. This first writing group continues to provide me with support—emotional and academic—today. I crossed the finish line with my sister scholar, Dr. Keisha McIntosh, and I am grateful for the many nights and mornings we spent texting or calling each other to ensure that we were making it to the finish line. Members of my second and third writing groups include Dr. R. L’Heureux Lewis-McCoy, Dr. Marc Lamont Hill, Dr. Alex Welcome, George Gardner III, Esq, Tara Conley, Sofia Quintero, Dr. Alex Trillo, Aja Burrell Wood, and Melissa Valle. Special thanks to Dr. R. L’Heureux Lewis-McCoy and Dr. Kenny Nienhusser, who have provided me with the tools to make it through these last two years. These two professors embody the spirit of true scholar activists—scholars who are deeply invested in the uplift of the community around them. I hold deep gratitude to them for showing me what mentorship is supposed to look and feel like. And finally my dissertation committee: the official members, Dr. Ernest Morrell, Dr. Felicia Moore Mensah, Vice President Janice Robinson (my dissertation fairy godmother! ), have provided me with amazing guidance toward finishing this dissertation, as did my unofficial committee members, Dr. Anna Neumann and Dr. Yolanda Sealey Ruiz. This group of faculty nurtured my love for race scholarship and never once dissuaded me from doing this important work. The end of this Dissertating Latina journey has slowly transitioned into Latino Love moments. By that, I mean two things: friends who have provided me with the tools necessary to endure personal battles with love such as friends who have been there for me before I even began my dissertating Latina journey like Joanne Joseph Hudson and Yasmin Regalado. Additionally, I have met an Afro-Costa Rican-Brooklyn family introduced to me by Marco A. Sanchez Cunningham, who are now helping me to adjust into my new identity—from being Dissertating Latina to becoming Doctora Latina and right back to being Liz (my family name), again. I expected to walk this journey alone but have instead found someone with whom I can walk this path—and for that I am truly grateful. I would like to end this dedication, this love letter from a Dissertating Latina, to future Dissertating Latinas. This identity is a shared one—I don’t claim to own it, but I do claim to have some knowledge of what this process feels like and my hope is to inspire and motivate others into this journey and let them know that I will be there to support them in any way that I can. To whom much is given, much is expected, and I certainly am no different. 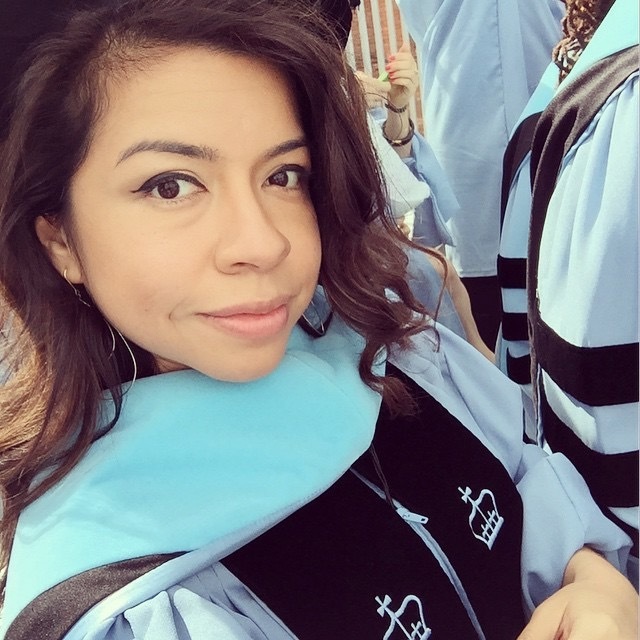 I am excited to witness how the hashtag #dissertatinglatina evolves as I know several newly admitted doctoral Latina students who have inquired “What will happen to the dissertating latina?” – Easy! The baton has now been passed to you – future and present dissertating Latinas. I can now move on to a different part of the journey – as Doctora Latina.